When we see that the journey of our lives is hard, it is a singular comfort to know the Maker of all heaven and earth is on our side. At some point we will find ourselves scrambling for help. 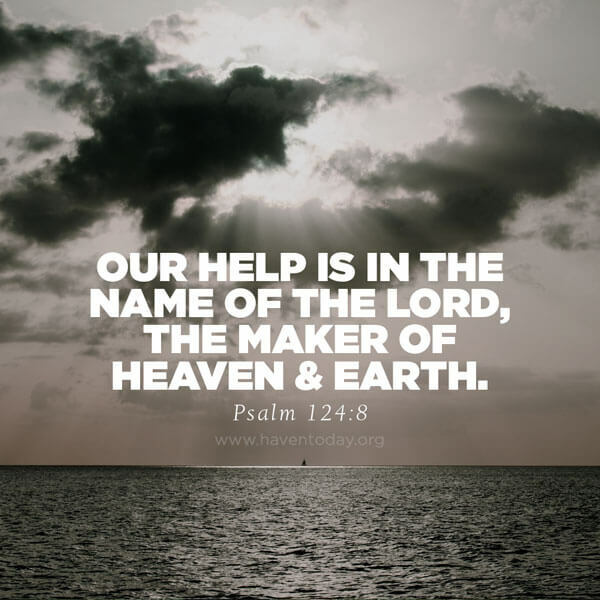 You’ve got to look beyond this world and ask as the psalmist did, “Where does my help come from?” Your ultimate help will not come from within, from government programs, or from more education. It comes from the all-powerful God. Wouldn’t you rather run to the One who created the universe with its trillions of stars rather than to the latest self-help expert? You are in the hands of your Creator, Keeper, and Savior. During my last trip to Cuba, we were delighted with a measure of freedom to talk about Jesus. We traveled from town to town with no conflicts, though we were visiting one of the most oppressed communist countries of the world. As we spoke with Christians, we felt their longing to find help for their daily lives. The God who does not sleep is watching over them. Be encouraged; trust in God; help is on the way.